Time to grow a beard?? I haven't allowed my facial hair to grow out since I was a teenager, when I had a moustache (which is a rite of passage for all Indian men, it seems. ). Since those years, I've always been clean shaven, even thorough the years of using cartridge razors that gave me many ingrown hairs. Since I started 'traditional' wetshaving, about seven years ago, my shaves have got more comfortable, and they're a lot of fun. However, recently I started getting slight nicks and cuts again. They're not the fault of the hardware or the prep; they're caused by a lapse of concentration. I'll lose control of the razor head, and 'dab' the head on my skin, causing a nick. Or I'll be shaving with a straight and use a slightly wrong angle around the chin, and get a cut. It wouldn't be a problem if it didn't keep happening - about every second shave something will happen - a tiny nick, a few weepers or a cut. I haven't been on such a streak of bad shaves for many years. Maybe this is a sign that I need to grow out my facial hair again. Or just that I'm losing focus on the shaves or that my fine motor control is slipping. Whatever the reason is, I hope it is temporary, as I'd hate to have to grow out my beard and moustache. Anyone else had relapses like this? What did you do to get through this? A glass of good single malt scotch usually does the trick. Focus, get your mind off other things while you are shaving. I agree with Johnny,; but i also feel that every man should at least twice in life, grow a beard for the sake of doing so. We are the blessing of humans that are able to grow a good amount of hair on our face, so it should be done and shown a couple times throughout our lives. I've let mine grow out for a few days now. Its been six years or so since I had a beard. It seems to have changed shades from dark brown/black to about 45% white. of course you should grow a beard! it's cold in our region of the country right now so it's totally justified! (01-08-2015, 10:49 AM)Johnny Wrote: A glass of good single malt scotch usually does the trick. Ha! I may have to try that. Scotch is always good. I've had something similar happen to me Yohann. I attribute my less than stellar shaves to a lack of concentration and I start to apply more pressure with my razor. Well, since I haven't reached the seven-year mark, I can't properly respond, my friend! However, you could try meditating to see it that helps your concentration. It happens to me occasionally, too, mostly around the Adam's apple. 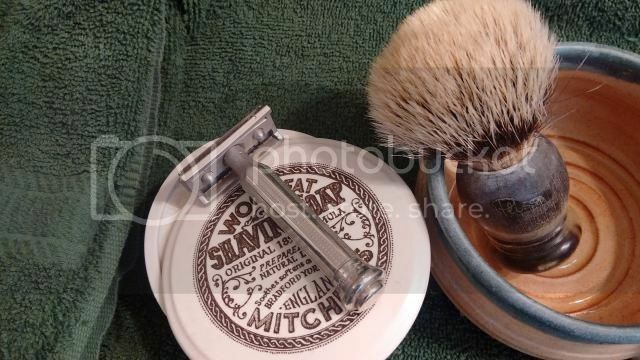 I originally learned to shave with Schick Injectors and Gillette DEs, but I got into the enhanced traditional wetshave of these fora a little over eight years ago. I only shave my neck, as I have worn a beard since 1972. For the first five years, or so, I didn't shave anything. Then I started shaving my neck and shaping the beard a bit on the cheeks. (01-08-2015, 08:38 PM)celestino Wrote: Well, since I haven't reached the seven-year mark, I can't properly respond, my friend! Hmm...I've never considered meditation - for anything. It may be worth looking into. Certainly the concentration is an issue. I think I'll start by eliminating variation in the shave - using the same soap, brush, razor and blade brand. If I stick with this for a couple of weeks, maybe everything will reset. I really don't think about anything. I don't even think about shaving when I'm shaving. I just do it and in about 10 minutes, it's all over. satisfaction with both. It's safer than base jumping. 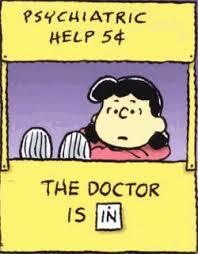 Pay Lucy 5 cents please. (01-09-2015, 07:01 AM)MegaBullfrog Wrote: I really don't think about anything. I don't even think about shaving when I'm shaving. I just do it and in about 10 minutes, it's all over. Here's your answer, Yohann! I couldn't have expressed it any better than this and this is what you would be doing if you were to meditate! Simplicity, my friend, simplicity! Just as if you were going for your long hikes or runs in the beautiful woods near your home. I wish I could grow a beard, but I have seen high school kids with better facial hair than I could ever manage. If I nick myself, it is normally because I am rushing through to get out the door on time and I will get the same spot for a couple days in a row. When I slow down and take my time, things seem to go well. In an effort to 'not think about anything' and just shave, I settled on one set of items to use in my shaves over the next few days. You would think that with my extensive shaving-item collection, this would not be easy, but it actually was really not that hard. Brush: The Vintage Plisson HMW is easily the best brush I have ever used. Soap: Ditto with MWF - if it works, it's among the best soaps. Razor: This was a little harder as there are a few candidates, but the Gladweg Pushbutton is among the best of the lot. Blade: Much harder to choose this - I settled on Red IP's as a standard, but I'll probably vary this a bit. I'd normally go with Feathers. Face lathering, of course (though I use the TSN bowl to soak the brush). The shaves so far have been great, and there have been no mishaps. Hope your shaves improve soon. As for the beard, I can't advise one for you. I had one many years ago. It was like a mat of fur on my face. Never again. Go for the beard. Can't hurt. At least you are well equipped to mow it down when the time comes. I had a beard long ago when everyone was sporting the look. Mine was strange in that my hair is a very dark brown, almost black but my beard would come in a dark reddish brown and in the summer would lighten to shiny new penny copper and blond. But that problem is gone now. If I grew it back it would be salt and pepper, mostly salt. The shaves have been good for the last few days - no cuts! I put this down to simplifying my setup, and lessening the variation in the stuff I was using.....along with just focusing on the shave, as has been suggested here. Excellent, Yohann! You are meditating, I see!